You already saw my post at Selfridges about Aubaine, so here’s another gem in the same building. 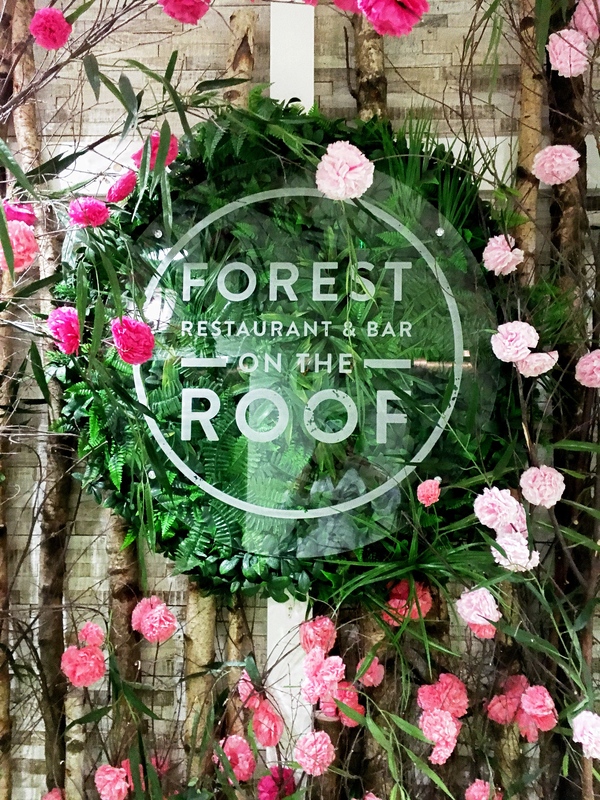 Forest restaurant & bar returns at Oxford Street Selfridges rooftop. Inspired by British seasons, locally grown food. Of course, my visit was just purely for the terrace bar. Which you can just do a walk in without booking a table. My friend and I wanted to go the year before on a summers evening, running around Selfridges we failed to locate the express lift that takes us directly to the rooftop. Selfridges was nearly closing and we gave up. I returned on a hot summers day to rest my feet and recharge my batteries from exhaustion. 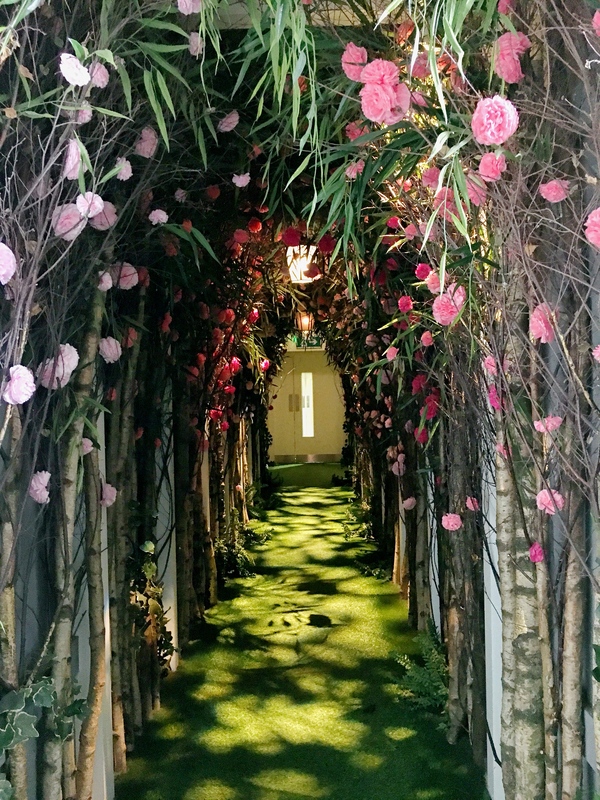 There’s only one lift that goes to the rooftop, which can be found near the fragrance department. If you are lucky someone inside the lift greets you. Once transported upstairs you hear the sounds effects of birds, insects just like a real forest. Follow the light and the pathway of tree barks leads you to outdoors. A beautiful wonderland of green woodland and quirky seating areas. I took a seat outside for a chance to top up my tan and enjoy the lovely non-existent sunshine in London. The drinks menu was simple, prosecco, wine, beers, coffees, teas, cocktails etc. I went for jasmine ice tea and an ice popsicle. Ice popsicle is really refreshing with real apple slush and a hint of elderflower. Jasmine ice tea came in a tall thick glass, enough ice to keep me cool and slightly sweet. 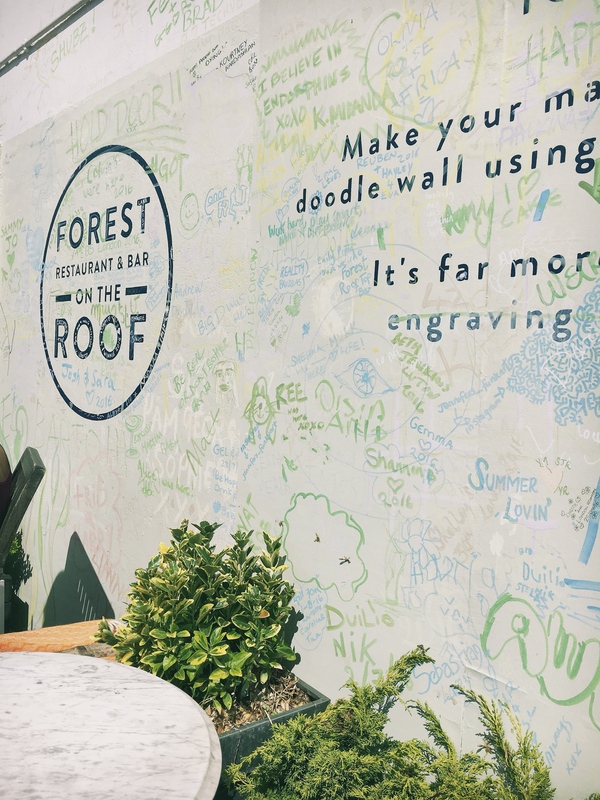 Forest restaurant & bar has a bit of everything to cater for everyone. 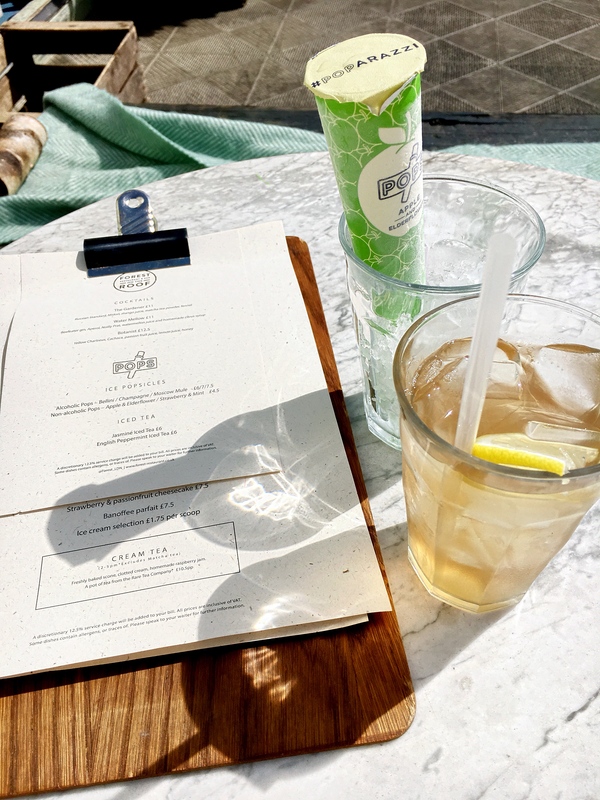 Food, terrace bar and afternoon tea menus on a perfect set drop for chilling in chaotic London.